Hannah Gavagan is an actress, teacher, and mentor whose heart lies in social justice. 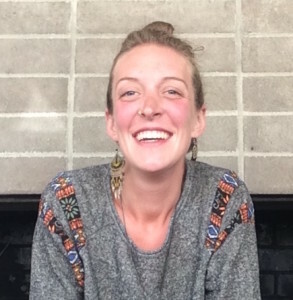 She is passionate about devising issue-based theatre with youth so they may gain personal awareness and understanding of the issues in our world today. This awareness leads to students creating a positive impact through performances and social-action. Through her skills-based drama classes, she works to help unlock students’ personal power so that they may learn, grow, and thrive. Building trust with students, helping them trust each other, and practicing social-emotional skills through play are the foundation of her classes. She earned a BFA in theatre performance at the University of the Arts in Philadelphia. She is inspired by the teachings of Sanford Meisner and Michael Chekhov. She acts in plays and films, directs student-devised plays, creates films with a social-justice lens, and stars in a YouTube series called the Go-To Go Girl! which aims to inspire girls to be the change they wish to see in the world.